Reach 15000 points with 120 seconds to complete the level. This level is pretty hard as you will find lot of 16 chocolates that will increase automatically and you have just 120 seconds to score 15000. 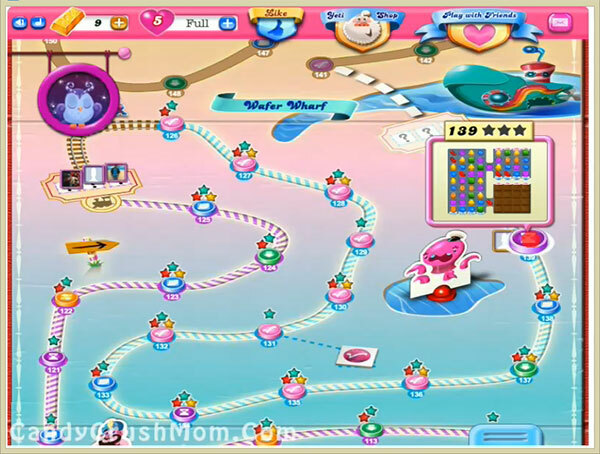 To complete this level you need to be fast and play more from left bottom part of the board to break chocolates and make special candy anywhere if you get chance. You should try to focus on reducing chocolates then you could easily reach requirement and you might need some score so try to make any special combo that will help to get some bonus score. We completed this level with 17200 score by using same strategy as writter above and got single colorbomb plus break bonus time candy fast that help to reach requirement.